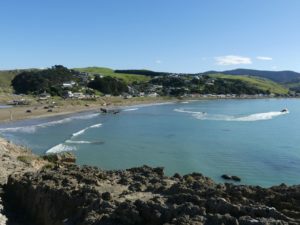 Over to the east of Wellington and the Wairarapa is the Pacific Ocean: but the hills get in the way and there are no tarmac roads, so the coast is hard to reach. 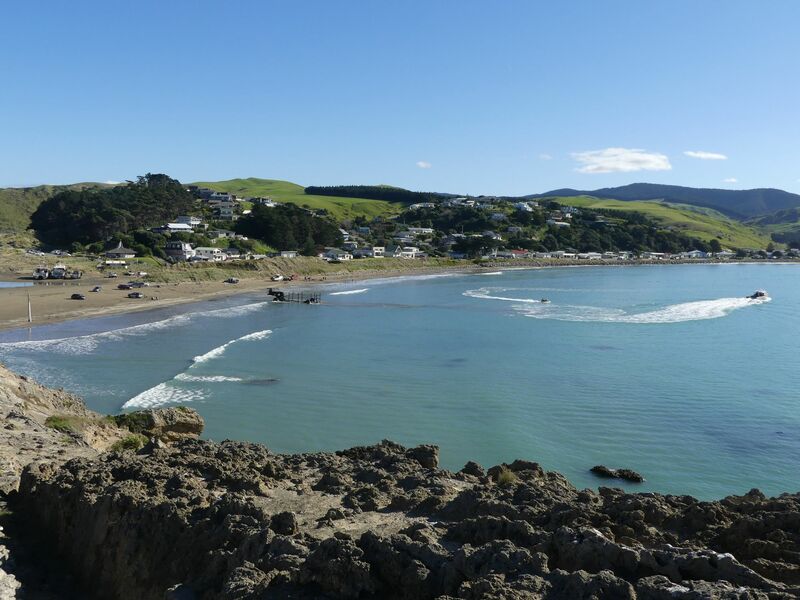 Thankfully a little to the north are Castlepoint and Riversdale. 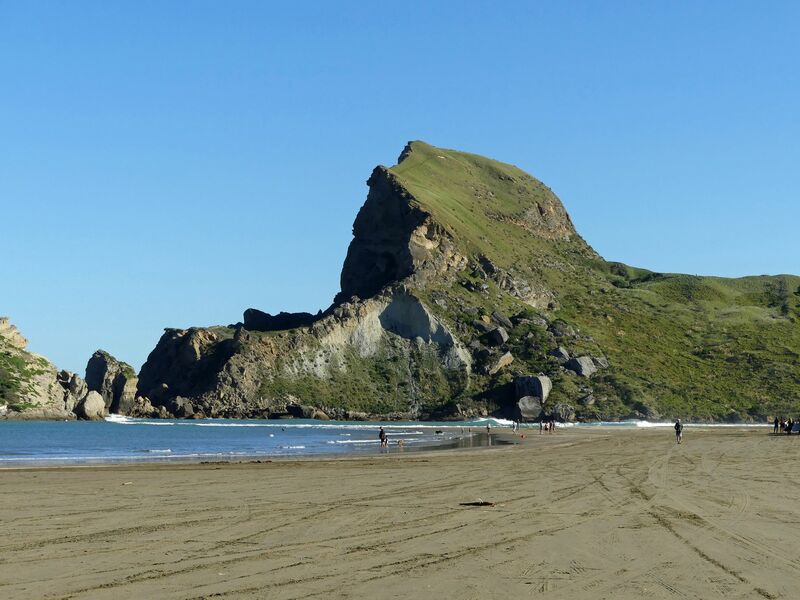 Castlepoint has a lovely beach with some lively rock formations: you could well come here simply to stay for a while and play in the sea. But the particular attraction is the lighthouse, and the lovely pile of rocks and cliffs around it. 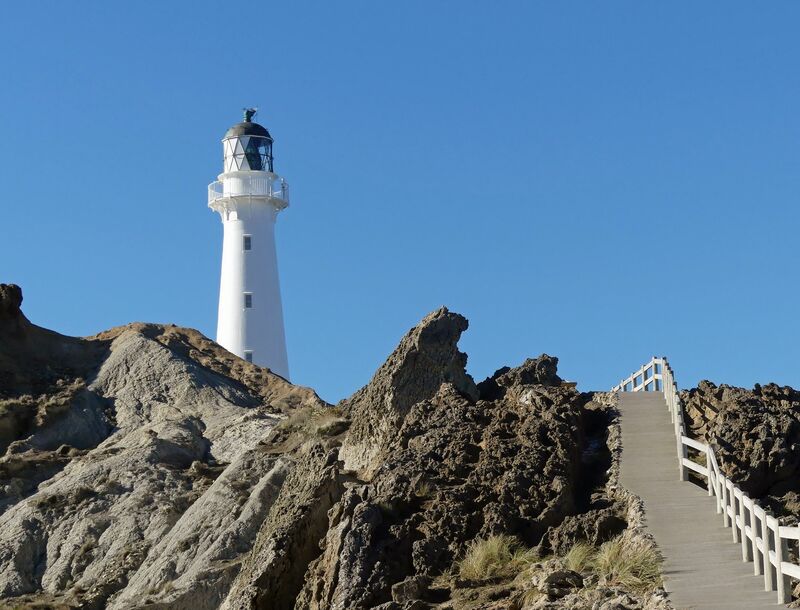 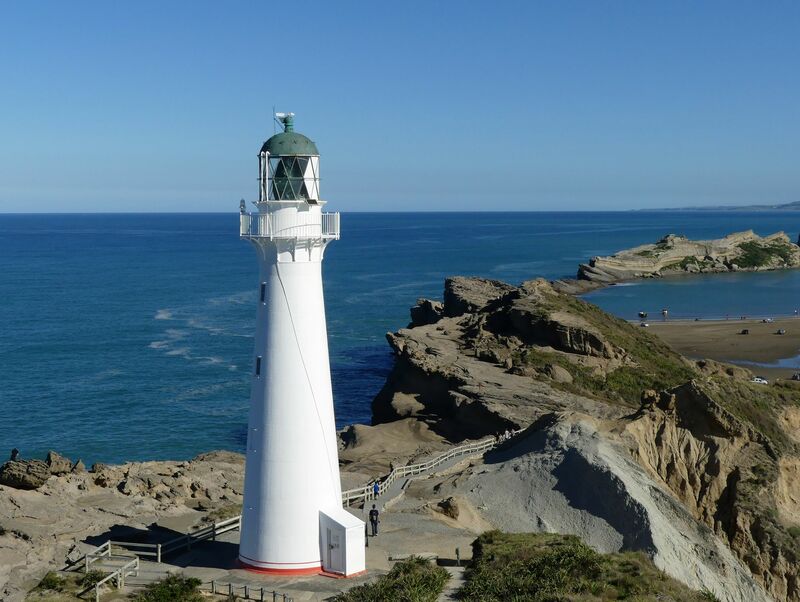 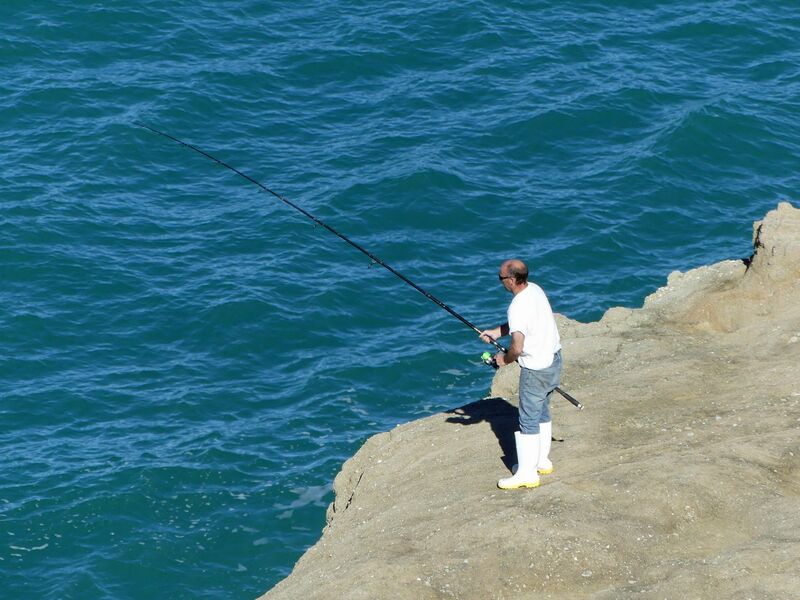 Kiwis treasure their lighthouses, and they really freak out about Castlepoint. It’s made of steel and was shipped out in sections from Britain about 90 years ago. 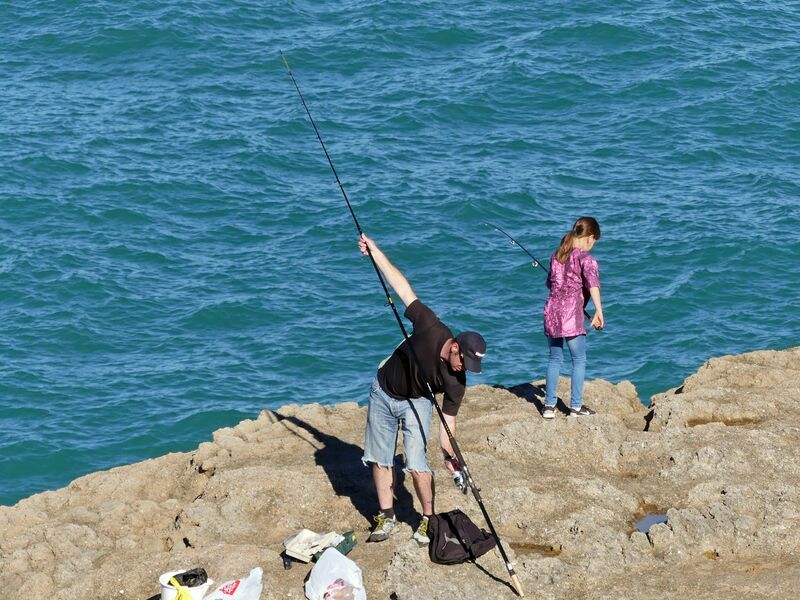 These days it’s all automated, so you can’t go up to the top or drink tea with the jolly lighthouse keeper, but it remains a lovely spot to walk up to and take photographs from – or for a spot of fishing.